Chinese double amputee climber Xia Boyu has been among 10 nominees for the Laureus Sporting Moment of the Year. Chinese double amputee climber Xia Boyu waves as he arrives to the Ciwec hospital after returning from Everest base camp in Kathmadu, Nepal, on May 16, 2018. Chinese double amputee climber Xia Boyu has been among 10 nominees for the Laureus Sporting Moment of the Year for his unswerving challenge of scaling the world's highest peak Qomolangma. Xia had lost both his legs in 1975 during his first attempt to reach the summit due to frostbite. He had attempted for the summit in 2014, 2015 and 2016 as well, but his dreams were shattered owing to avalanche, earthquake and bad weather respectively. 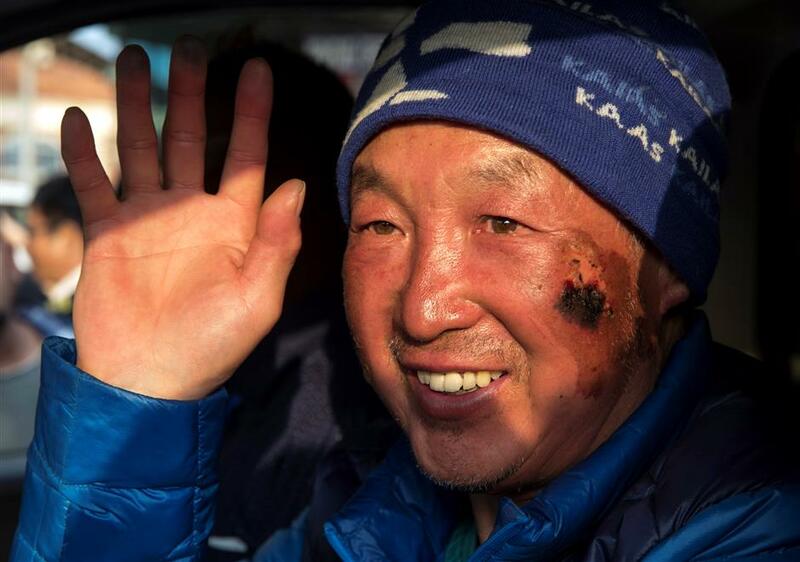 Xia finally made it in his fifth attempt on May 14, 2018, becoming the first Chinese double amputee climber to have reached the summit of Qomolangma. Xia's story and achievement is called "A Challenge of Fate" by Laureus. The 10 nominees will contend for the award through public vote on the Laureus website and social media. Three finalists for the award will be revealed on February 4, and the winner will be announced at the awarding ceremony in Monaco on February 18.